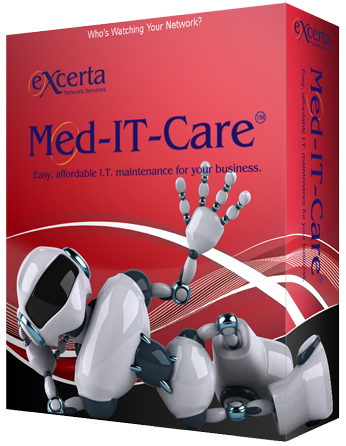 Med-IT-Care™ takes the worry away from you and helps make sure your IT systems are working as they should. From automatic back-up and antivirus checks to full systems diagnosis and reporting, your IT infrastructure will be taken care of, freeing up your time to focus on growing your business. To find out more about Med-IT-Care™, Call Us Today at 855-EXCERTA.